Online dating has almost been talked to death on the internet and the media, but that doesn’t mean everyone is doing it. When you’re divorced and middle-aged, it can seem a bit more harrowing than watching all those kids in their early 20s find a fun, flirty fling with ease online. Whether you’re looking to polish your dating skills after letting them rust in your marriage or seeking the person you’d like to spend your post-divorce life with, online dating may be the best place for you. When people get back into the dating game, whether post-breakup or divorce, it’s common to ask your friends to set you up. But why ask someone else to do what you could do better yourself? When you date online, it’s easier to find a more lasting connection based on common interests and attraction. When a friend sets you up, they may just be thinking, “Aw, they’d look cute together,” but not about what you really need out of a partner. 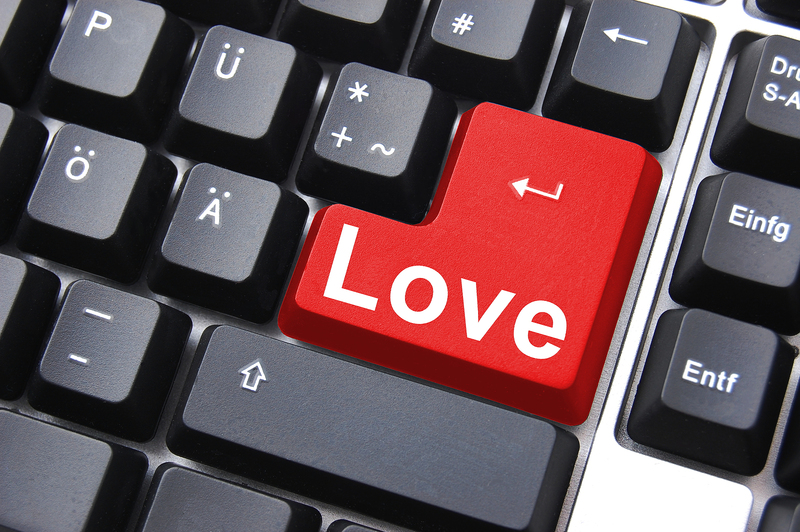 So you’re convinced and want to move forward with online dating, but where to even begin? Here’s a short primer of some how-to’s of middle-age online dating. You’ve seen the ads online and on your computer for the big ones—Match, EHarmony, OkCupid, JDate—but there are dozens of dating sites online. How do you choose? Talk to your friends to see what sites they’ve had luck on. Do some internet research to see what each site is known for. (For example, OkCupid tends to skew younger in its demographic because it’s a free service.) Figure out how much you’re willing to pay to be on a site. Consider using niche dating sites (like VeggieDate, for vegetarians only, or ChristianMingle for Christians) depending on your tastes. But most of all? Don’t feel like you have to limit yourself to just one. Whether you try them simultaneously, or one after the other, the key to internet dating is broadening the search rather than narrowing your options. After a divorce or a bad breakup, it can be hard to just dive back into the dating pool. If you think you’re going to find your new soul mate on your first date back out, think again. You need time to readjust to the dance of courtship. If someone seems nice, pleasant, attractive, but doesn’t scream “TRUE LOVE MATERIAL,” don’t discount them—date them. First dates are supposed to be low-pressure; use that time to figure out who you are as a dater now. Trust me, it’s probably not going to be the same person as 20 years ago. One thing to remember when online dating is that you’re all in the same boat. I’ve spoken to plenty of middle-aged people who are worried they’ll look silly by putting themselves out there again. One man I spoke to said his biggest fear was feeling awkward or having nothing to talk about. Another woman mentioned she was worried it was tantamount to marketing herself, and the idea of that felt wrong. The important thing to remember is that you’re not alone! Hell, sometimes it’s good to even speak to your date about these fears. I can guarantee you both have them, and at least it’ll be something to talk about if the silences get a bit too long. Also, repeat to yourself: It’s just a date. These aren’t lifetime commitments or marriage proposals; it’s a coffee date, a movie, maybe dinner. At the most, it’s a few hours of your life. At the very least, you will come out of that date with some story to tell. No, it’s not as bad as it sounds. What I mean by that is when you’re scrolling through a list of potential dates, you start to feel entitled to being very picky. Ew, he’s a bit short. Oh no, she enjoys Nicholas Sparks novels. Here’s some advice: Get over it. One of the pitfalls of online dating is that we sit in judgment of someone we’ve never even met. Think back to your last long-term relationship. Weren’t there things you found out later that may have turned you off in the beginning? The difference was that you found out later. In online dating, particularly in the middle-aged bracket, people tend to put their cards on the table, figuring that the more honest they are about themselves, the more easily they’ll attract a likeminded partner. Suspend your disbelief. Give a person the benefit of the doubt. Try going out with a different personality type. No matter how it turns out, you’ll end up learning something about what you want and about yourself. It’s a huge step to start dating again, but sometimes it can be discouraging to go on a panoply of first dates, but never a second. Don’t be hard on yourself—this is how online dating works. It tends to be a numbers game. If you’re not out there trying, nothing will ever come of it. People who are taking control of their life are attractive. By deciding to date again and by using online dating sites to help, you’ve grabbed your own destiny and have decided to steer. Other people around you will start to notice. You become more open to new people entering your life, so don’t be surprised if the person you end up with approaches you at a bar or a party. Dating online doesn’t always lead to a match, but it can boost your confidence to the point where someone in your life may see you in a different way. Online dating helps to take the pressure off and when you’re more relaxed and confident, people can tell. It’s a hell of an aphrodisiac! It’s not oral surgery. It’s not a funeral. It’s a date. All you need in order to have fun is a good, open attitude. Even if the other person is a drag, I promise there is some fun to be had—it’s just up to you to find it! You are currently browsing the Fairfax VA Divorce Mediator blog archives for March, 2014.